VGo was recently featured on ModernHealthcare.com in an article called "Robots get to Work." 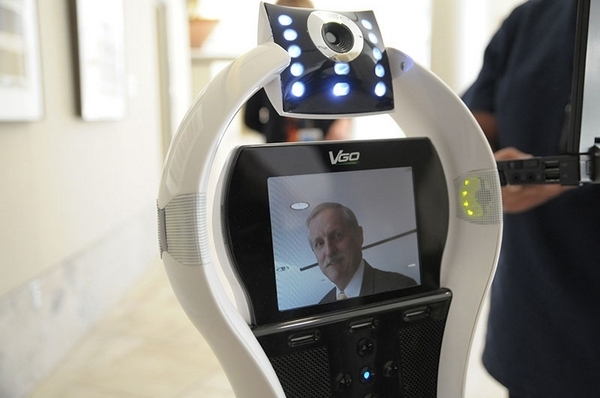 The VGo acts as a personal avatar—or, as the company says, “replicates a person in a distant location”—via the robot’s camera, microphones and video display. The remote user can move the VGo around a facility. The robot has applications in telemedicine, and the company also pitches it to hospitals and nursing homes as a way for family members to virtually visit their loved ones.